Rubber Room Ramblings: REMEMBER TO GET YOUR FREE STAMPIN' UP! 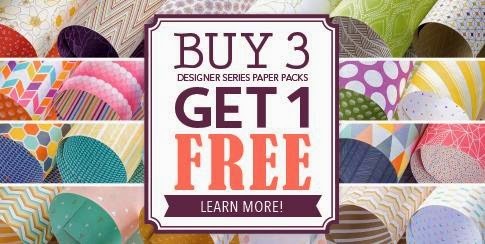 DESIGNER SERIES PAPER! REMEMBER TO GET YOUR FREE STAMPIN' UP! DESIGNER SERIES PAPER! July 31st is the last day to get your FREE Stampin' Up! Designer Series Paper. This is one deal you do not want to miss. Order now, so you don't forget tomorrow.